Is your bathroom vanity a disaster? Don’t worry, mine was too until I finally got it organized. 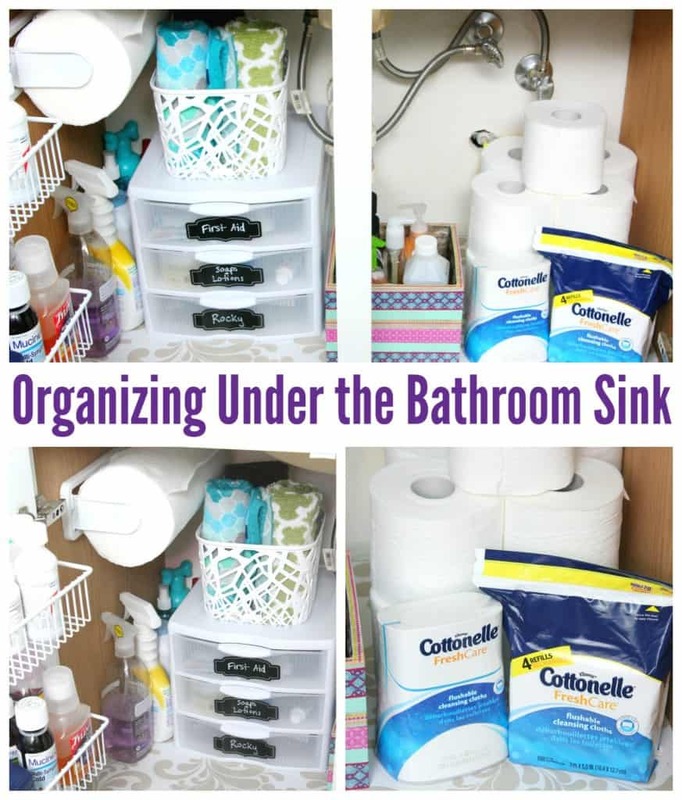 Today I’m sharing a few tips for organizing under the bathroom sink. My goal every summer is to organize different areas of the house. And since summer is halfway over, I decided I better get motivated. I was getting so frustrated at the clutter and disorganization I had going on under the bathroom sinks that I knew I needed to start there. After spending a few nights last week cleaning and organizing all the bathroom vanities, I thought I would share what I did. The best part – it didn’t take as long as I thought it would. I added shelf liner to the bottom of each vanity. I added a paper towel holder to the side of each cabinet for quick wipe downs. I got them for a dollar at the Dollar Store so this was super cheap. I had a couple of these wooden boxes that I purchased a while back. They are actually planter boxes and since they have plastic liners, I knew they would be perfect in the bathroom. I wrapped them in washi tape to hold hand soaps and tall bottles. In the downstairs bathroom, I added a spice rack to hold medicine and vitamins. I added plastic containers with chalkboard labels to each bathroom. Now everything has it’s own place. Even Rocky has his own drawer. I added a small plastic basket to hold the hand towels that go in each bathroom. It looks too clean under your sink! 🙂 Super jealous of the organization. We have a similar set-up – where there is only a big cupboard under the sink and no drawers. I love the on-the-door storage, though. That’s genius! Your cupboard looks so organized! Thank for the coupon! I need to clean out under my sinks. Not enough hours in the day! Great post! It totally makes me want to go clean out under my sinks! My youngest gets very upset with me if we run out of the Cottonelle flushable wipes! Oh my! Thanks for the reminder. I really need to clean out under my sinks too. They get so messy so fast! 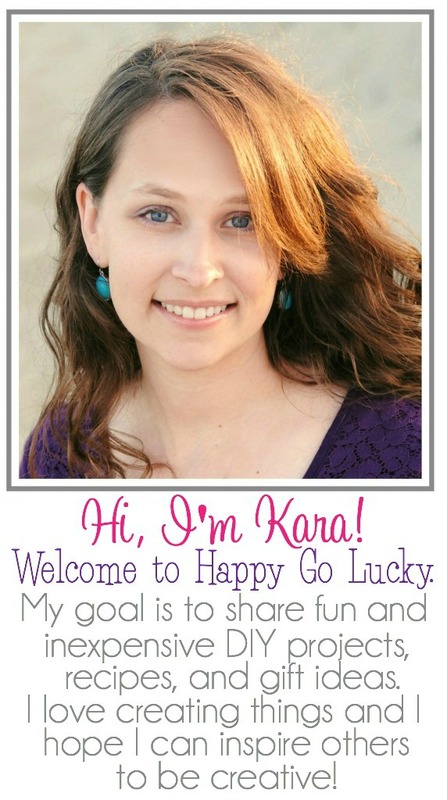 Flushable wipes might just be the smartest thing ever… way to be ambitious, Kara! We started on the flushable wipes with potty training, too. It’s so much cleaner on kids! Thanks so much for the coupon! Thanks for the great coupon!! Your organization looks amazing!